Real estate has long been lauded as a sensible investment for retirement. 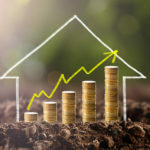 After all, real estate assets provide a relatively safe way to hedge your portfolio against volatility in the stock market, and they can also provide passive retirement income. Real estate crowdfunding sites know that retirement is on the minds of many real estate investors. Many work to attract potential investors with self-directed retirements, such as an IRA or 401k, by promising the preservation of capital at an above-market rate of return. Their online platforms allow people saving for retirement to invest in real estate right from the country club golf course. It was no surprise, then, when investors began pouring retirement savings into crowdfunding. Except for who was doing the investing, that is. Real estate crowdfunding has proven a popular choice for one of the most fickle investing groups in the marketplace: Millennials. On the surface, it seems improbable. Millennials investing in real estate? This is a group that has been loathe to purchase homes, with less than a third of Millennials becoming homeowners compared to 64 percent of the general population. After a little analysis, however, there are powerful reasons why real estate crowdfunding appeals to Millennials—enough that more are certain to join the crowd of investors in the coming years. The stereotype, of course, is that Millennials are all underpaid with limited skills and few opportunities. That’s not reality, but even if it were, real estate crowdfunding has very low barriers to entry. Some of the best and most successful crowdfunding portals allow for investment minimums as low as $5,000. That lets Millennials get into the real estate investment game much earlier than previous generations. Second, real estate crowdfunding is an investment option that allows Millennials to bypass banks. Having come of age during the Great Recession, many Millennials don’t trust financial institutions or Wall Street firms. They do, however, see the need to protect their money from the kind of financial breakdowns that hurt their parents’ retirement plans nine years ago by investing in hard assets. Real estate crowdfunding offers the chance to do just that. The importance of diversification is another lesson that Millennials learned through observation. Many aren’t willing to rely on the promise that property values will go up indefinitely. They’d rather spread their money across many assets, just to be safe. Real estate crowdfunding makes diversification easy. One of the Millennial attributes that confounds marketers the most is their disinterest in ownership. From albums to cars to homes, Millennials are buying less of everything than the generations preceding them, and it’s not just because they have less money to spend. Many young people prefer to connect than buy, and they want the way they spend their money to say something about how they see themselves. Ownership doesn’t always align with Millennials’ priorities, but investing does. Like every generation, they are determined not to make the same mistakes their parents did. Real estate crowdfunding appeals to them because it offers the benefits of ownership without the drawbacks of commitment. It allows them to make passive, small investments in multiple properties without being tied down for years in a single home or location.